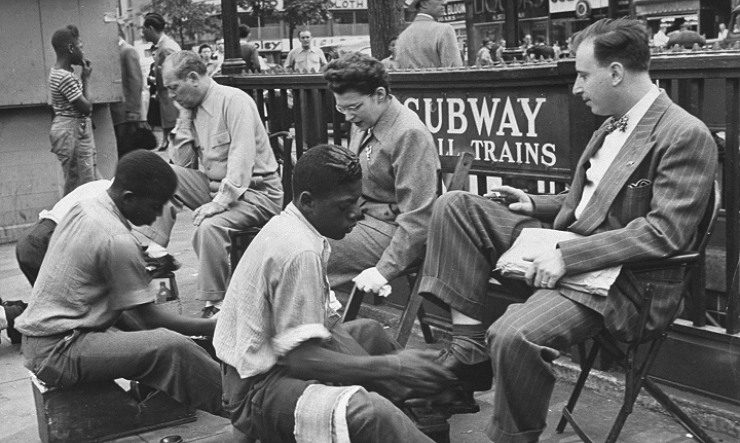 Professional shoe cleaners are able to transform such a banal and everyday procedure – as footwear cleaning – into art. 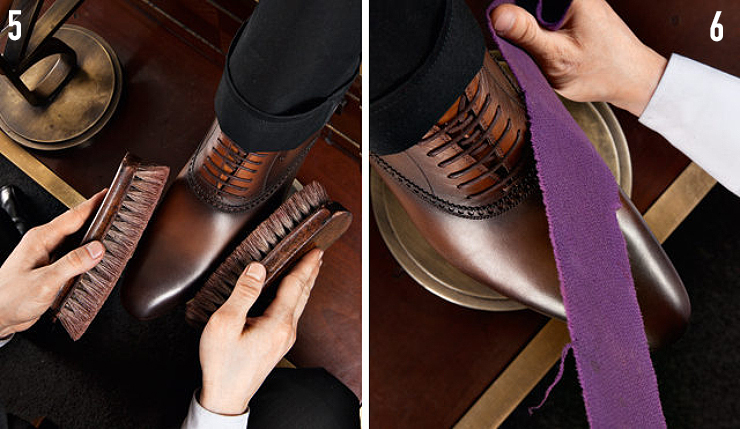 Some of them shared their secrets of the craft with our editorial team, so The Fashiongton Post now unveils the lifehacks of the shoe cleaning to you. 1. The whole process takes a little more time than brushing your teeth. First, the shoe must be shaken off the dust because sand and small pebbles can scratch the precious surface during polishing. 2. Wash your shoes from dirt and traces of the old cream. Shoe industry invented and produced special shampoos for this purpose, but if for some reason this progress didn’t touch you, you may use an ordinary wiper – wet it with a napkin and wipe one shoe first, and then, while it dries, another. 3. It’s good to apply mink fat to dried shoes and let it soak in – this will perfectly repel water and prevent the skin from decomposing. 4. The next step is crucial – the cream. If the shoes are new, you may use the colorless cream. But over time, the color of the shoes fades, so you need to refresh it. The tone of the cream should be a little bit lighter than the tone of the shoe, and never darker. To check the tone, you must first slightly lubricate the backdrop – thus your possible mistakes will be the least noticeable. After making sure that everything is as it supposed to be, continue smearing all over the surface with soft circular motions. 5. The next step is polishing, and the best handy tool for this would be a horsehair brush. 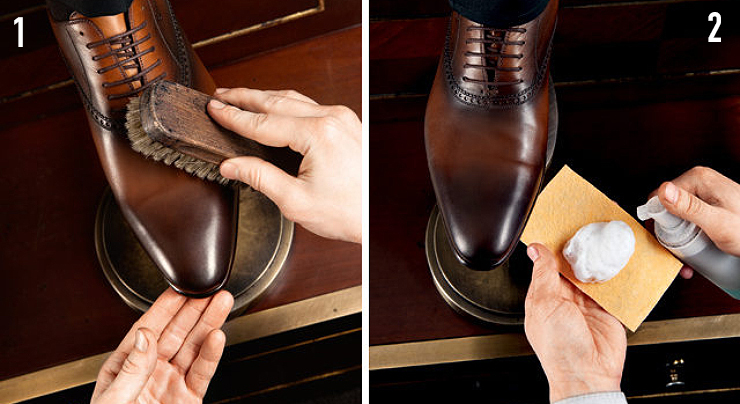 Begin to polish the dried-up shoes without undue pressure. You need to continue until the brush begins to literally fly over the glossy surface of the skin. 6. 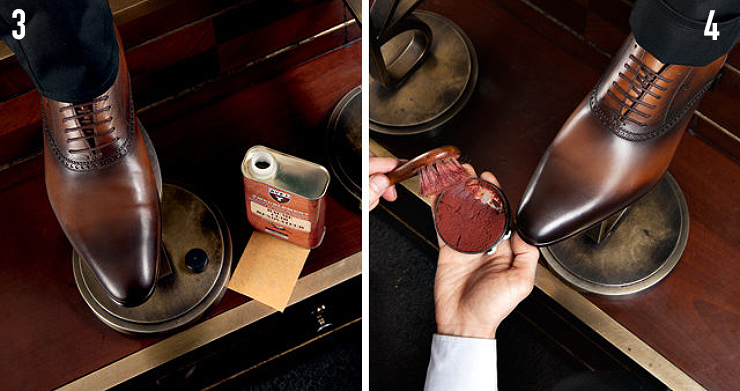 Use a velvet ribbon to smooth the striped traces of the horse hair and give the shoe a majestic shine. 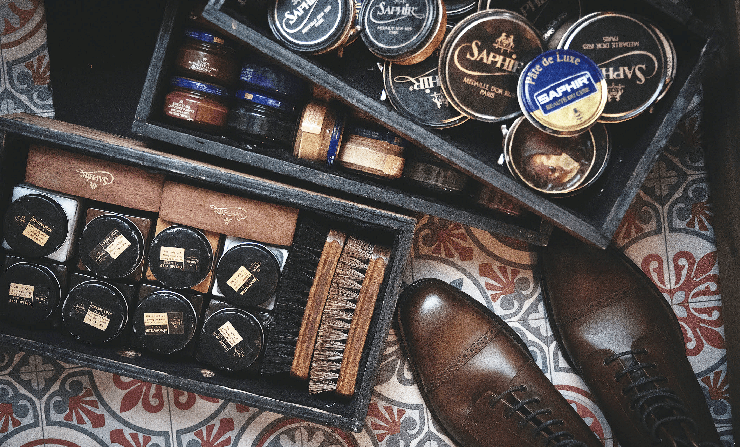 To get rid of the dust covered your suede shoes, there’s a special brush with the surface in the shape of several eights connected to each other. 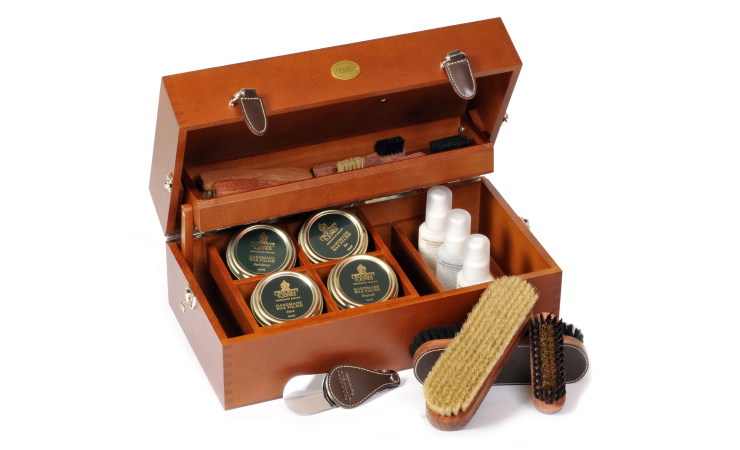 Having finished with the dust, do not rush to grab the shampoo – suede (same as nubuck) does not tolerate moisture. To get rid of the dirt, use the emery gum. And the shampoo – only for the sole. Use spray instead of the shoe cream. 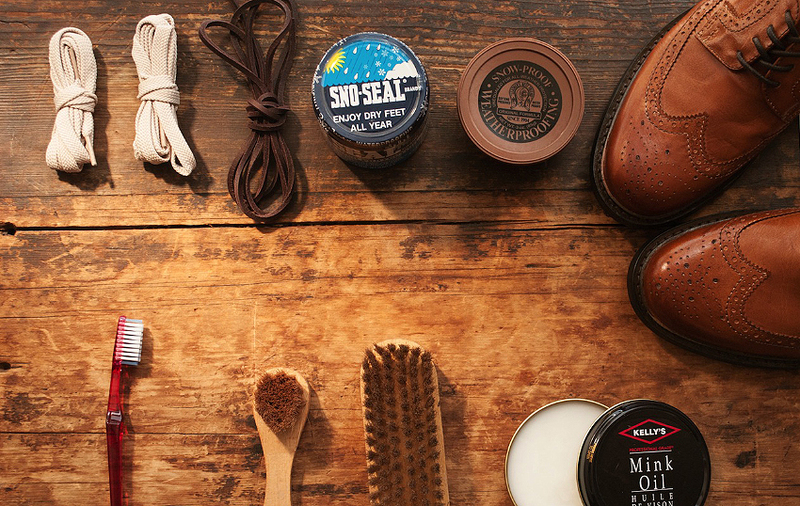 Cream, as well as shampoo, can only be used to smear the sole. After brushing and polishing the sole, gently brush it with the eight-shaped brush which you’re already familiar with, combing the suede nap in the direction that was given to the show by the factory originally. In the first case, everything is simple – just use shampoo and let the shoe dry. Patent shoes should be cleaned by analogy with leather, except for the stage with mink fat. And the cream shouldn’t be wax but silicone. The Fashiongton Post recommends to have a separate set of brushes for each shoe color.